My Pulsar has just reached it’s 4-year mark, and it’s certainly showing signs of its age. 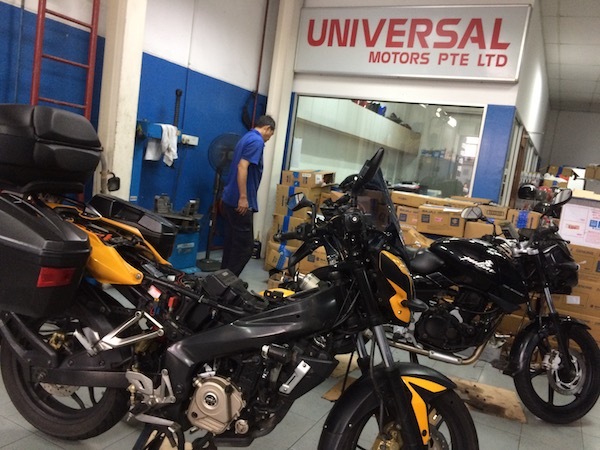 I was just at Universal Motors yesterday for a gear lever replacement. 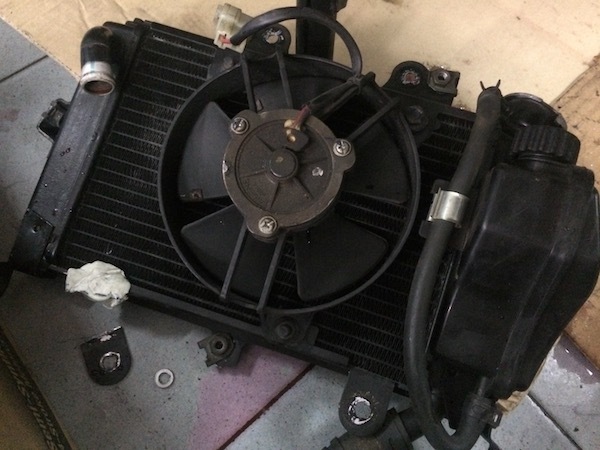 And when I got home that evening, I noticed that the left side of my radiator assembly was shaking loose. The 200NS radiator is held in place by four mounting points. 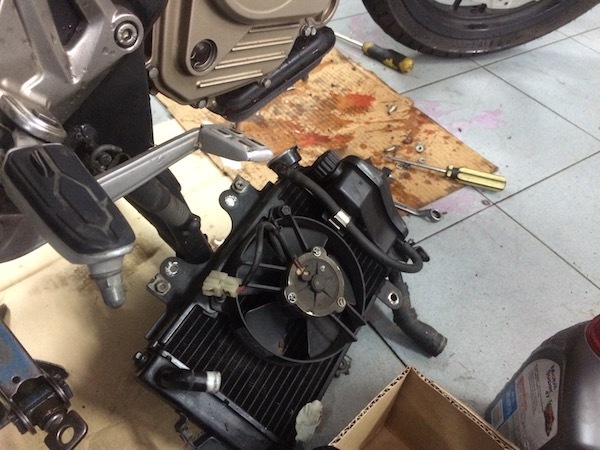 And to damp it from the motorcycle’s vibrations, each of these four mounts are coupled with a rubber “silent block”. Turns out that TWO of the FOUR mounts were broken! 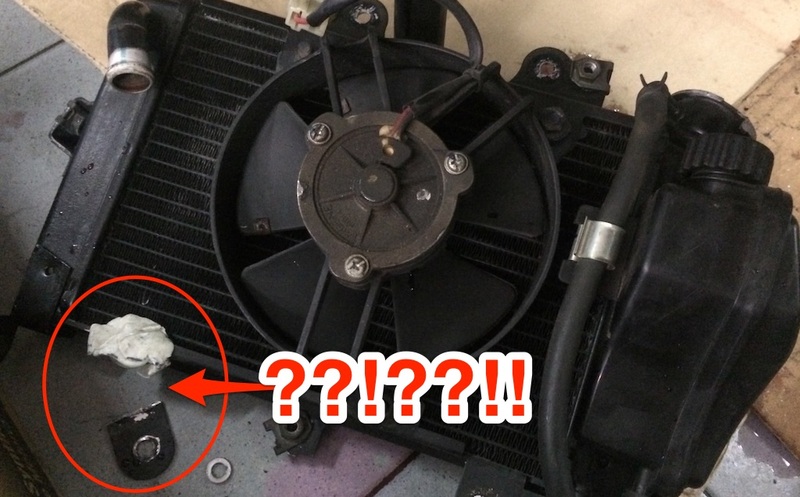 One at the rubber damper, and the other was a metal fracture on the radiator itself! GASP! The TOP-LEFT rubber damper was completely sheared. The metal mount on the radiator fractured. 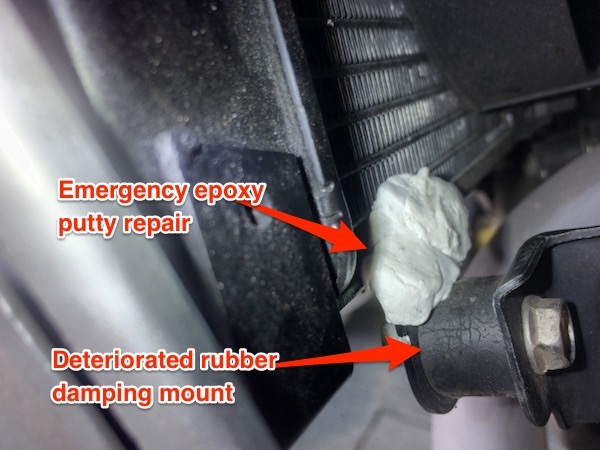 As a temporary measured, I applied some epoxy putty to hold it in place while I made my way to UM for repairs. 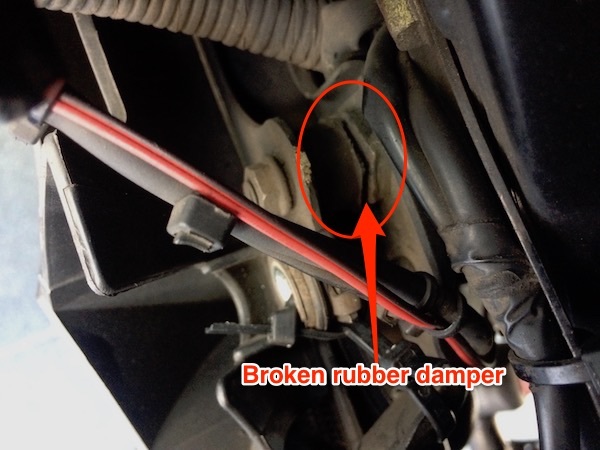 Even the rubber damper here is showing signs of age / heat deterioration and is cracking up. 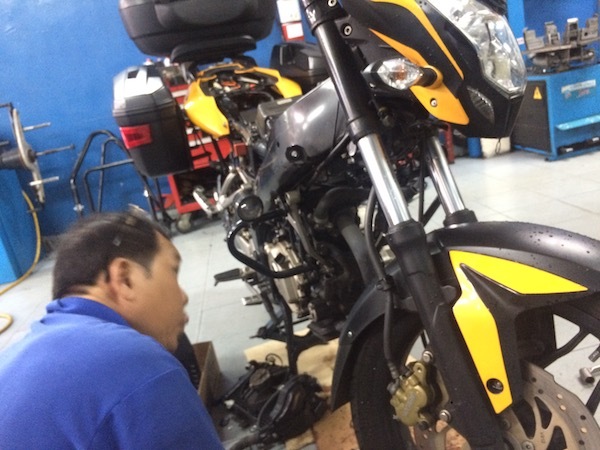 Since the Pulsar was 4 years old, I already had intentions of replacing the radiator and the associated hoses and cooling system components as part of preventive maintenance. And quite frankly, I’m thankful that this particular failure mode did not lead to a loss of coolant and thus risk engine overheating. My sick steed receiving some love at Universal Motors. 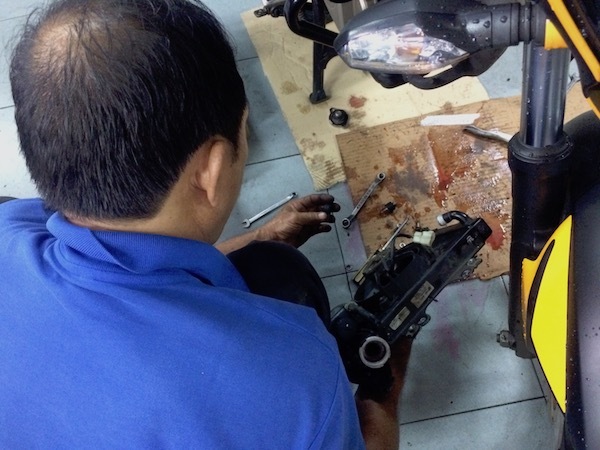 Radiator and fan assembly removal. Notice that broken-off tab? The epoxy putty didn’t do a very good job holding it together. My Pulsar 200NS sans cooling system. $325 poorer and a couple of hours later, the Pulsar’s back in the pink of health and now comes with a brand new cooling system! Let’s hope it stays this way for some time to come!